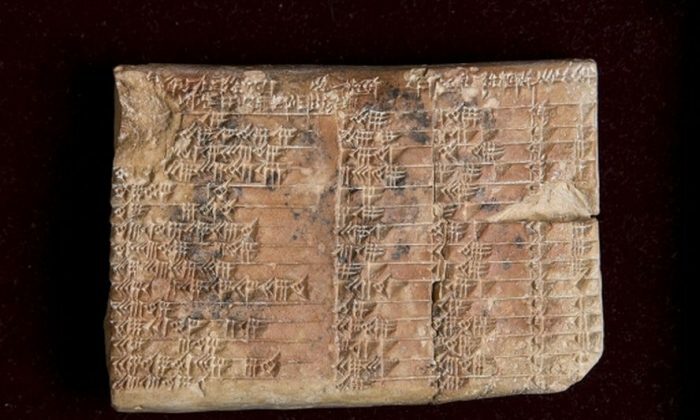 A 3,700-year-old Babylonian tablet was translated and might rewrite the history of math, suggesting that trigonometry may have been developed before the ancient Greeks. The researchers said the tablet proves that the Babylonians developed trigonometry some 1,500 years prior to the Greeks. 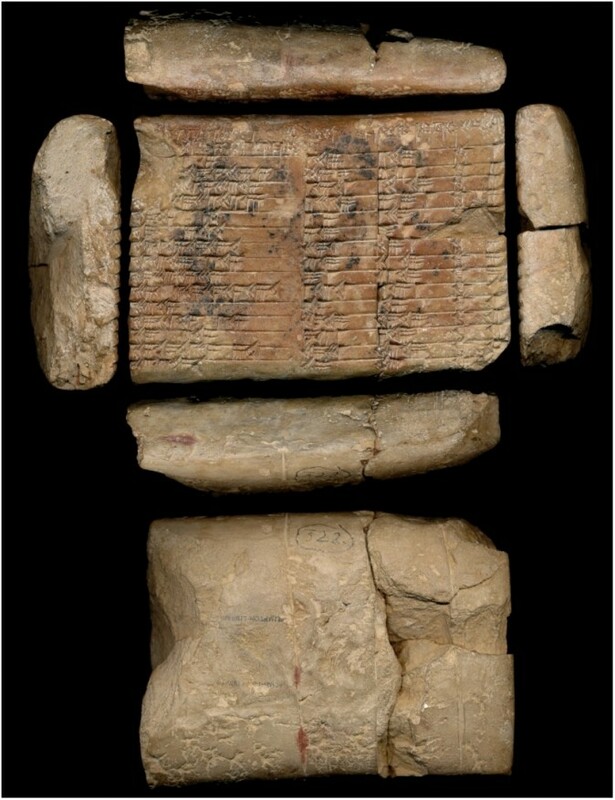 The tablet, called Plimpton 322, was found in Southern Iraq around the turn of the last century. 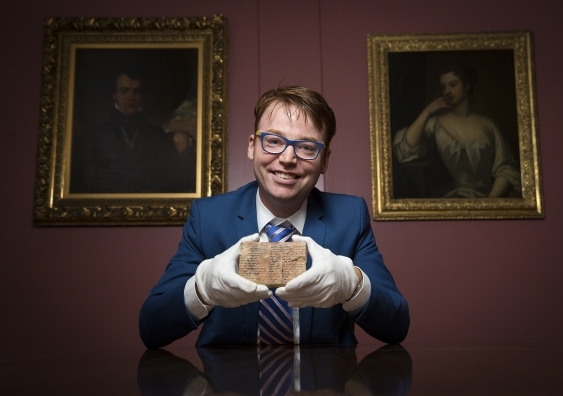 American archaeologist and diplomat Edgar Banks, the inspiration for Indiana Jones, discovered the tablet. “Our research reveals that Plimpton 322 describes the shapes of right-angle triangles using a novel kind of trigonometry based on ratios, not angles and circles,” Dr. Daniel Mansfield of the School of Mathematics and Statistics at the University of New South Wales Faculty of Science, said in a university news release. “Plimpton 322 was a powerful tool that could have been used for surveying fields or making architectural calculations to build palaces, temples, or step pyramids,” he said. The Greek astronomer Hipparchus, who lived around 120 B.C., has been regarded as the father of trigonometry. Their findings were published in Historia Mathematica. A clay tablet from ancient Babylon shows there was an “irate copper merchant, Nanni, in 1750 B.C. The merchant’s aggravation is evident, spelled out in cuneiform on a clay tablet now displayed in The British Museum,” reported Ancient Origins. 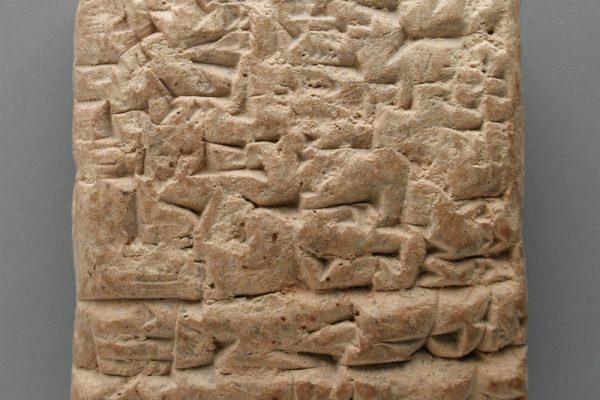 “In what is said to be the oldest customer service complaint discovered, Babylonian copper merchant Nanni details at length his anger at a sour deal, and his dissatisfaction with the quality assurance and service of Ea-nasir,” it writes. What do you take me for, that you treat somebody like me with such contempt? I have sent as messengers gentlemen like ourselves to collect the bag with my money (deposited with you) but you have treated me with contempt by sending them back to me empty-handed several times, and that through enemy territory. Is there anyone among the merchants who trade with Telmun who has treated me in this way? You alone treat my messenger with contempt! On account of that one (trifling) mina of silver which I owe(?) you, you feel free to speak in such a way, while I have given to the palace on your behalf 1,080 pounds of copper, and umi-abum has likewise given 1,080 pounds of copper, apart from what we both have had written on a sealed tablet to be kept in the temple of Samas.